The Waidner addition to the 1967 Spahr Library provides extensive new stack and study spaces, as well as a self-contained Special Collections area. 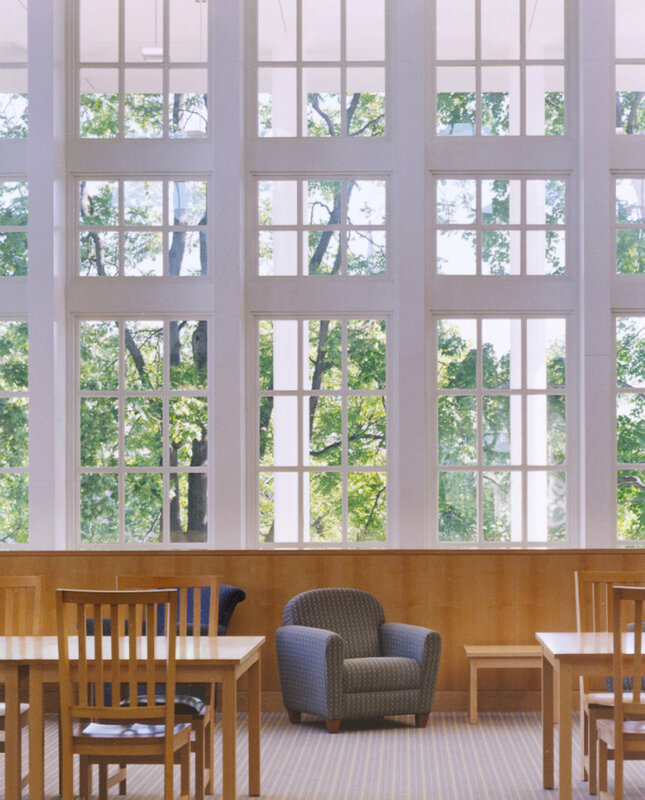 Renovation of the existing Spahr Library had to be achieved while the building remained occupied. Another key goal was to design an addition that would respect the beloved pre-Civil War campus buildings while being of monumental scale in order to relate to the existing International-Style library. The library’s position at the heart of the campus is reasserted by reconnecting it to the main walking routes, and controlling visual connections to the surrounding residential halls and the student union. Adaptable lobby and lounge spaces have been used for author presentations, readings, and musical performances. 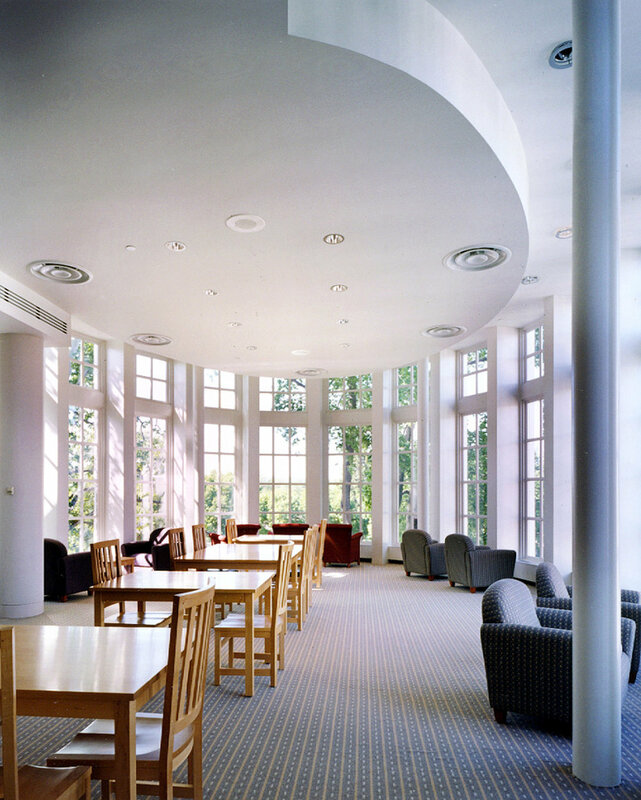 The library has been met with tremendous success as an intellectual and social hub for Dickinson College. The physical integration of the addition and the original library is emphasized by the placement of the circulation desk in a two-story linking space. The design integrates the existing International-Style building into the pre-Civil War era campus fabric by synthesizing contemporary forms with original campus materials, including regional limestone and wood.